This post on How to Get Ready for Holiday Parties was sponsored by ApotheCARE. The holidays are here! And as our schedules are filling up with things like shopping and holiday meal prepping, there are even more opportunities to get together with friends and family. It seems each and every weekend of the month there’s some sort of get together or party taking place. It’s hard to say yes to them all, afford to attend them all, and stay sane. In the hustle and bustle of it all, it can seem like a huge undertaking preparing for yet another party when you’ve accepted multiple invitations amidst the other excitement of the season. All the prep time before the actual party can be exhausting if you don’t have a plan. But if knowing what you’re going to do ahead of time and being strategic in each and every aspect of preparation will help you learn how to get ready for holiday parties on a budget and still enjoy it all. Holiday parties are abundant this time of year and attending them all is nearly impossible. But there are always those must have parties that you don’t want to, or can’t miss, each year. When you haven’t planned ahead there are often items that you need to budget for that you haven’t quite planned for and that may cause you to overspend (like for white elephant gifts). 2. Book your sitter early. Because you have a plan for the season and already know the holiday parties you want to attend, you can book your sitter early and have an easier time guaranteeing their availability. After all, time is money and if you’re wasting time burning through your entire rotation of babysitters you’re not enjoying the season and will likely be left with whoever is available at whatever price they quote because you’re desperate. You may also be able to partner with others attending the same event and negotiate to share a babysitter for a flat fee reducing the rate per family. This may be the easiest part of how to get ready for holiday parties on a budget. Trying on your clothes, selecting a dress ahead of time, and committing to it will save you time and your budget. I like to go with styles that can be worn year after to year and for more than one event. Because of this, I go for little black dresses. I have a couple of them and I can easily wear them for more than one event and no one’s the wiser because they’re classic. Even something like sequins looks extra festive during the holidays but can work for other fancy black tie events like fundraisers or conferences throughout the year. 4. Wear a pop of color. While I gravitate towards black for the dress, it is the holidays and a great time to have fun with color…especially red. While I may not go with a red dress, a vibrant red on your nails or a bold red lip looks elegant and festive all at the same time. 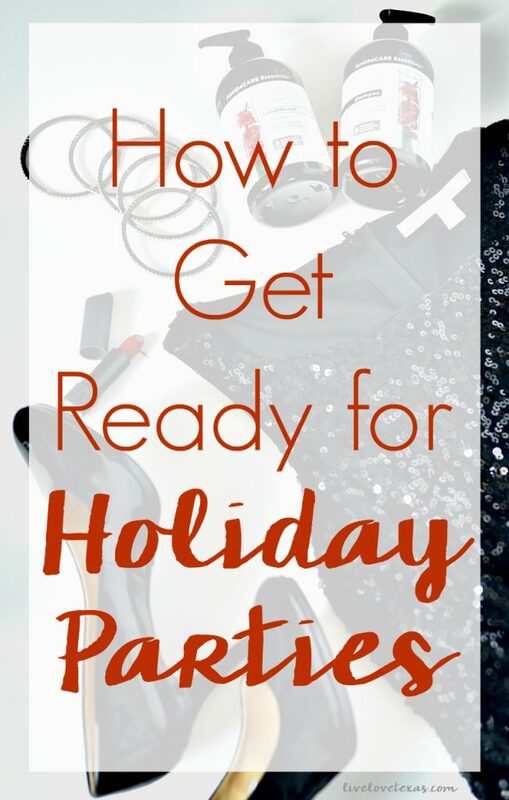 You could also rock red heels (if you have them), but if you’re looking for how to get ready on holiday parties on a budget and don’t already have them, you don’t want to run out and buy them either. Don’t forget accessories! I love the custom jewelry options from Heidi J Hale. 5. Make a statement with your hair. While I usually rock my naturally straight look during the year, the holidays give me an opportunity to do something fun and different with my hair. With the holidays here, I can bring out the heat tools and use curling wands or automatic curlers for a more dramatic look on a budget. But with all of that extra heat styling, I need to make sure I’m taking care of my hair and it has the volume to hold new styles without falling out an hour later. 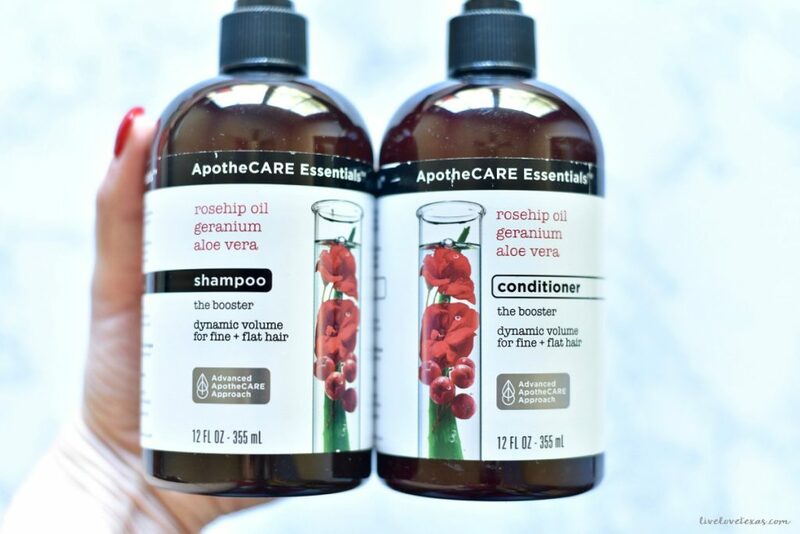 I only get my done once every 8-12 weeks, so I need some help making my hair looking healthy and vibrant throughout the holidays, so I’m loving the new ApotheCARE Essentials™ line at CVS. I can take extend visits to the stylists while still caring for all the extra abuse to my hair with the cutting-edge scientific technology and carefully selected ingredients that are inspired by nature and science to take care of my hair and keeping it looking its best. With different varieties available, there’s something for everyone. 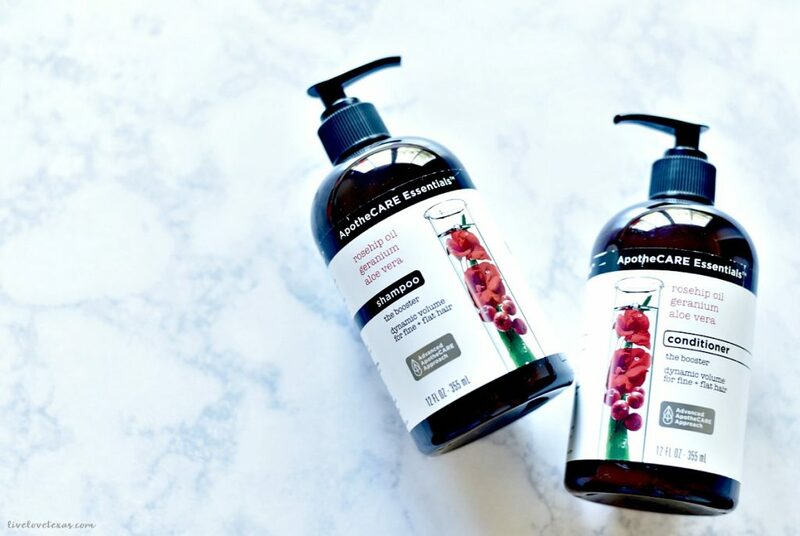 You can create volume to hold holiday styles for fine and flat hair using ApotheCARE Essentials™ The Booster Shampoo. Make your holiday hair go the distance and last a second day by using ApotheCARE Essentials™ The Booster Dry Shampoo to refresh it and give it life while still having a soft, conditioned feel. And finish it all off by adding some vibrant shine to color-treated hair with new ApotheCARE Essentials™ The Colorist Conditioner. You don’t have to even leave your house to have beautiful looking hair this year with ApotheCARE Essentials™ at CVS.com and available in limited release at some CVS stores. Do you have any other suggestions on how to get ready for holiday parties on a budget? Let’s keep the conversation going on Facebook!